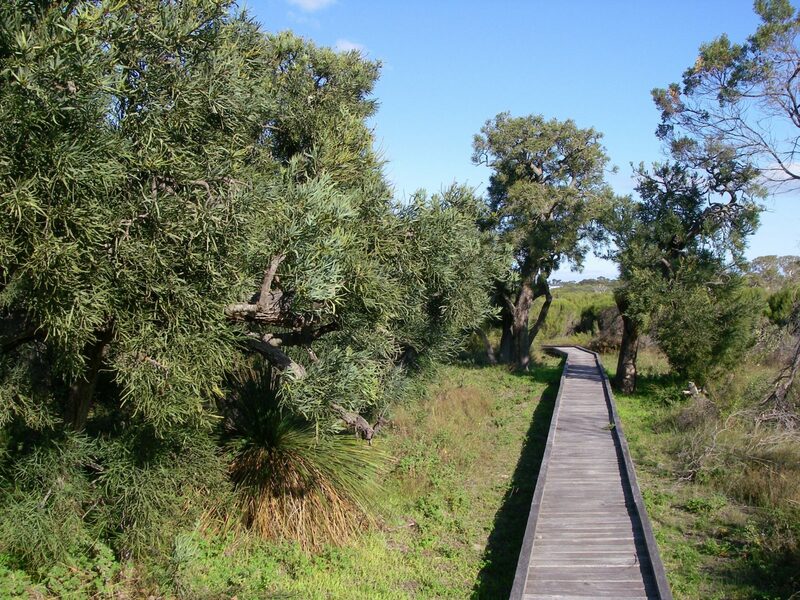 Kepwari Wetland Trail is a five minute drive from the town centre of Esperance. The one-way interpretative trail is 3.6 kilometres in length and is designed to be a learning experience. Information displays help you discover why these wetlands are important, why they are under threat and how you can help protect them for future generations. The trail winds through fringing sedgelands, heathlands, under banksia canopies and over dune ridges with views of the wetland system and surrounding catchment. The trail has been designed to protect native vegetation from the threat of die back. A return trip along the trail will take roughly 2.5 hours. You can start at either end. Shorter sections can be walked instead of the entire trail. Dispersed along the trail are facilities for you to sit back, relax and soak up the serenity of the natural scenery.